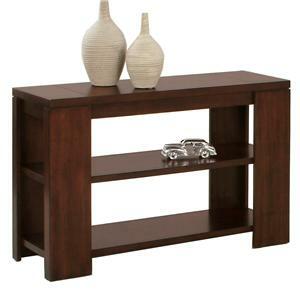 Furnish your home with the rich contemporary design of the Sofa Table. 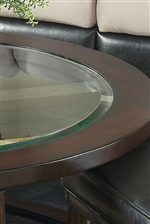 Its demilune shape and, beveled float glass insert table tops, and straight and sleek legs offers a unique style that is sure to enhance your living room space. Use this sofa table behind a sofa or against a wall and use its spacious surface to display a decorative vase of bright flowers and books. 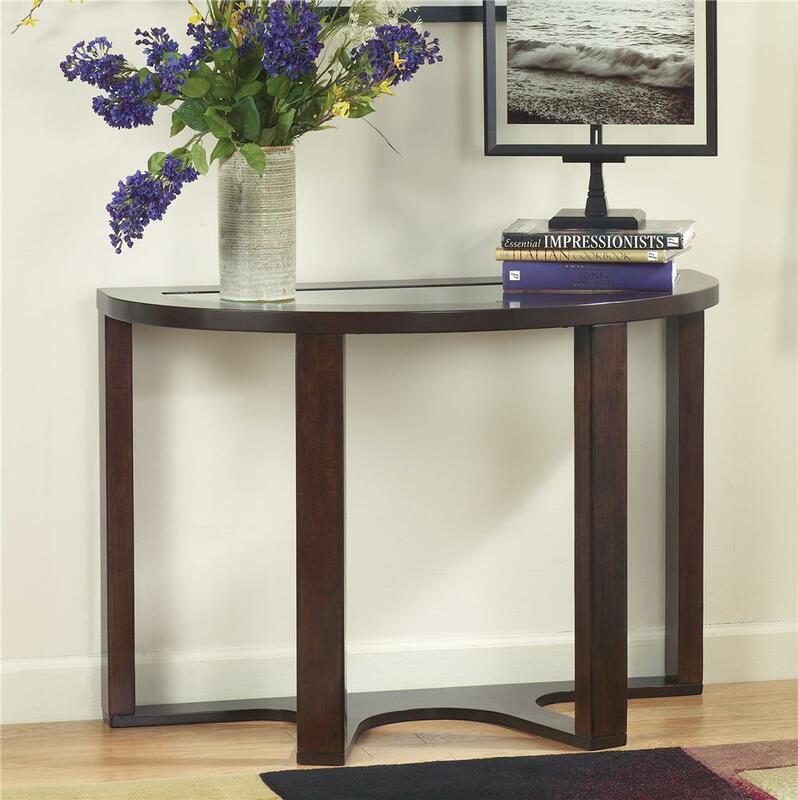 Create a dynamic statement in your home with the Sofa Table. 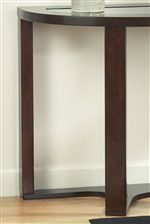 The Marion Demilune Sofa Table by Signature Design by Ashley at Northeast Factory Direct in the Cleveland, Eastlake, Westlake, Mentor, Medina, Macedonia, Ohio area. Product availability may vary. Contact us for the most current availability on this product. Wood & Finish Dark brown finish beautifully complements the contemporary design. Case Detail Straight and sleek legs enhances your home decor. Description: Top Clear beveled float glass inserts on some items. Case Construction Occasional: Constructed with birch veneers and hardwood solids. With dark finishes and a rich contemporary design, the "Marion" occasional table collection offers a unique style that is sure to enhance the living space of any home decor. The wood veneer is beautifully bathed in a dark brown finish and supports a clear beveled float glass insert table tops on some items that perfectly captures the essence of contemporary styling. Accent your living room with the contemporary style of the "Marion" collection. 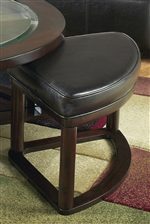 The Marion collection is a great option if you are looking for Contemporary furniture in the Cleveland, Eastlake, Westlake, Mentor, Medina, Macedonia, Ohio area. 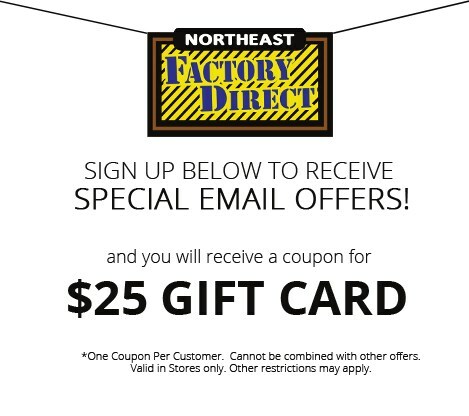 Browse other items in the Marion collection from Northeast Factory Direct in the Cleveland, Eastlake, Westlake, Mentor, Medina, Macedonia, Ohio area.